Known for its world-class red wines, the Colchagua Wine Valley in central Chile is home to over 30 wineries. Tourism is relatively new to the area, giving the experience an authentic feel, with most dining and hotel options in and around the town of Santa Cruz. The wineries along the Ruta del Vino offer a variety of tours and tastings along with exquisite views of Chile’s Central Valley – a perfect weekend destination from Santiago or stop on the way to the coast. 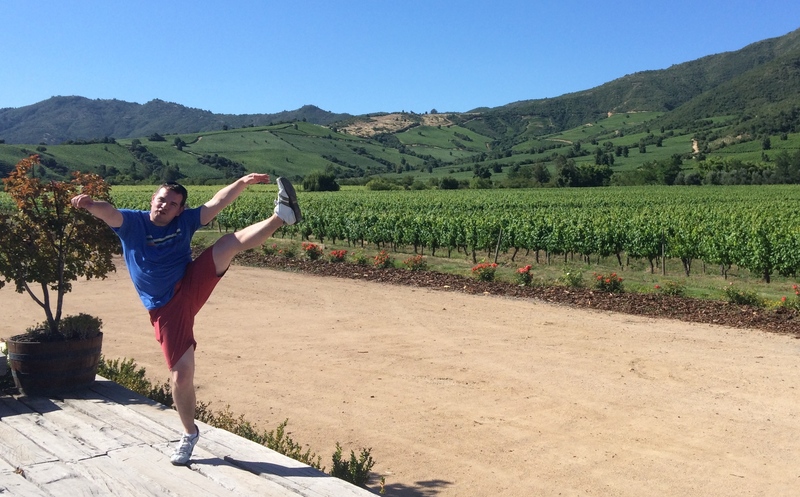 This entry was posted in High Kick Photos and tagged Colchagua Wine Valley, High Kick, Hotel Terra Viña, Laura Hartwig, Montes, Ruta del Vino, Vino Bello, Viu Manent. Bookmark the permalink.